The Australian Aphasia Guide is an information book designed for people with aphasia, their family members, their caregivers, and friends. 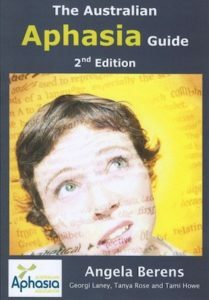 The Australian Aphasia Guide is written by a person with aphasia from Australia and three speech pathologists. The book was first launched at the AAA National Conference in 2006. The second edition was published in 2011. To order a copy please download an order form OR you can purchase the guide directly from the online shop.